REVEALED: ‘The Best of WWE 24’ to Close Out 2018 Home Video Schedule, ‘Super Show-Down’ on DVD? “WWE 24: The Best of 2018 – Director’s Cut” will close out this year’s Home Video line-up! WWE is in the process of scheduling this 3-disc DVD collection of WWE Network documentaries for release to both the United States and the United Kingdom in December. It’s expected to follow to remaining territories early in the new year. Rumored since last year and now confirmed by a new list published this week by WWEDVD.co.uk, WWE will for the first time present the WWE 24 episodes from their streaming service now in one physical collection; a chance to add what’s likely to be more than 8 hours of new WWE documentaries to your DVD shelf after an apparent drought of documentary-led sets in recent months. As reported previously by WrestlingDVDNetwork.com the current plan is to feature the year’s best episodes — the newest of which was “The Hardys: Woken” — with more of course expected to follow between now and the release of the DVD this December. After several weeks of uncertainty the “Greatest Royal Rumble 2018” PPV was finally given a DVD release slot this November with pre-orders now available here on Amazon.com. 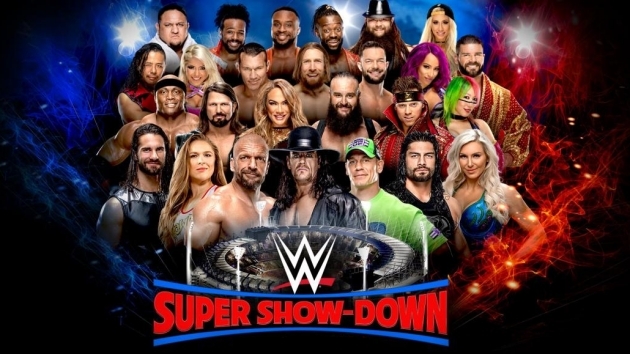 That 2-disc set is not coming alone because WWE will release another super show on DVD in the very same month: “Super Show-Down 2018”. WWE Pay-Per-View returns to Melbourne, Australia at The MCG with a capacity of some 100,000 fans. The event is already promising appearances by John Cena and Ronda Rousey, not to mention the supposed last-ever match between Triple H and The Undertaker! More details to follow but like “Greatest Royal Rumble” this is also slated to be a 2-disc set. Before any of that though, SummerSlam is the next WWE PPV on the horizon and we’re pleased to announce today that as it stands SummerSlam 2018 will once again release on Blu-ray format in addition to DVD over in the UK and Europe. @RabidHeat and LP1: I agree that the directors cut will have to consist of unseen footage. The extras though could in addition be some behind the scenes footage. I think WWE uploaded a video consisting of behind the scenes footage on RAW25 which I think got a 24 episode on it. Idk if the RAW25 behind the scenes video focused on the RAW25 episode itself or on the 24 episode that centered on RAW25. Not that I see it happening but would be awesome if one extra was an previously unaired episode. Considering how they hyped it, surprised a 24 episode on GRR didn’t air anytime this year but maybe it’ll get made if it wasn’t already and air next year sometime. Also kinda surprised no 24s on anything NXT or on the MYC or any Summerslam or RR event considering how heavily they promote those. They get the WM promotion treatment and every WM from WM30 on has gotten a 24 episode and rightfully bc it’s their biggest ppv. But RR is oromoted by them as the start of the Road To WM and Summerslam is built up as if it’s as Austin accurately put it one time the “WM of the Summer” Sting would’ve been a great episode topic centering on his debut, first WM, run, retirement, life afterwards. Really surprised he hasn’t gotten one bc he was for a long time seen as “the biggest name to never go to WWE” but it is what it is. I’m guessing they’ll be more 24 episodes made this year. Whether they air before 2019 or sometime in 2019 is unknown. The Australian event may get one. But I definitely see one episode focusing on the all women’s Evolution ppv. Could definitely see Ronda Rousey getting an episode of her own too focusing on her lifelong fandom for WWE, signing her contract, debuting and first ever match at WM34, since Goldberg, Angle and the Hardyz got one following their returns. WM34 is bound to get one but I can see them saving it to air early next year during the Road To WM35. Could also see an episode focusing on the currently upcoming SD 1000. They’re assuming that because they’re right. There’s only been 4 WWE 24’s this year. This is going to be an 8+ hour DVD release, and those 4 documentaries combined come out to 3 hours and 38 minutes. If they do another 4 WWE 24’s between now and December they still won’t fill up 9 hours. And they usually do a 24 every other month or so, which means there would only be about 2 more 24’s between now and December. There’s gonna have to be a lot of unseen “Director’s Cut” footage and extras to fill up the rest. Oh, but it says in the WDN article that it will feature “the year’s best episodes”, not all of them. In that case we can’t assume that thise exact four are going to be included. It says it’s going to be over 8 hours. You could fit every episode from this year plus a ridiculous amount of extras in 8 hours. Otherwise I don’t know how else they’re gonna fill 8 hours. Fair point yeah, I see what you mean now, sorry. It is shame it’s just focusing on 2018 though; I would quite like the Booker T and Angle specials to get a DVD release. They could always include the Booker one on a Booker T release, if they ever make one. Yep! And same for Kurt Angle, Syles and Rousey. I can see these aforementioned names along w/Book and Goldberg where the Goldberg episode would be a fitting extra getting their own doc sets at some point in time. In their own ways, all are names too big not to get one imo. Maybe same for Rollins too if his career continues the way it’s been this year even if it has the predictable bumps in the long road during his ongoing journey. Yeah plus the WM episodes and the 2 episodes focusing on the women’s division which btw the 2 women’s division episodes would’ve been fitting extras for the recently released women’s division dvd. As for the WM episodes, they rightfully should be extras on every WM dvd/bluray released the WM30 episode on the WM30 set and so on or alternatively the WM30 episode on the WM31 set, WM31 episode on WM32 set, so on. Seriously? THIS ‘SUMMERSLAM’ will not be sold on blu-ray in the U.S. again? That’s twice in a row. What’s the reason of recording this on blu-ray if your not gonna release it in the u.s.? And i’m glad ‘THE SUPER SHOWDOWN’ will be released on d.v.d in the same month as ‘THE GREATEST ROYAL RUMBLE’. I will purchase both. I was worried that the SummerSlam bluray would be canceled. very glad it isn’t. Really looking forward to getting WWE GREATEST ROYAL RUMBLE 2018 &WWE SUPER SHOWDOWN 2018 on dvd whem they come out. Greatest Royal Rumble had do many great matches. Just to name a few; John Cena. Vs.Triple H,The Casket Match between The Undertaker.vs.Rusev,The 50 man Greatest Royal Rumble match,….so looking forward to adding those and more to my collection. I disagree on Cena/HHH and Taker/Rusev being “great matches”, but I’m happy that you will enjoy the DVD. I enjoyed the Rumble match, so I will get it for that, but I may wait for the price dropping first. I wonder if Evolution will get the DVD treatment? I think it will. 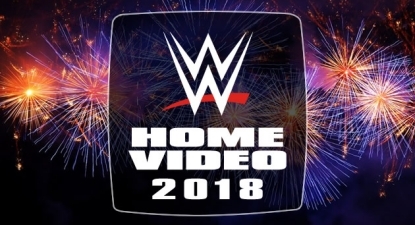 They made a point when they announced it that it would be available on the Network and PPV providers, so since it is an “official” PPV, I’m thinking we will see it. I sure hope we do. It will be released in December. Happy that SummerSlam gets a blu-ray release in Europe. PPVs on blu-ray are the only PPVs I buy. If Fremantle released all 2018 PPVs on blu, I’d guy them all. Even a bad show like Backlash from May, lol. In that case they’ve done you a favour, lol. Sounds like paying $20 more for some doc segments that could have been included in this year’s releases which many have already purchased. I was hoping for some hardcopy releases of older WWE 24 episodes, instead of just a yearly collection. Not ruling out a purchase from me, but this news is kind of deflating for me. How long are the runtimes usually? How many shows could actually fit on a 3-hour disc? The Hardyz: Woken is 58 minutes, Raw 25 is 51 minutes, Women Empowered is 51 minutes and Mania: Orlando is 58 minutes. That’s 3 hours and 38 minutes right there, plus they’re saying these are going to be “director’s cuts” with more footage. Not to mention any extras that may be included and any future WWE 24/7 docs that may happen between now and December, or whenever the cut off is to include them. More crappier to blu rays lol.